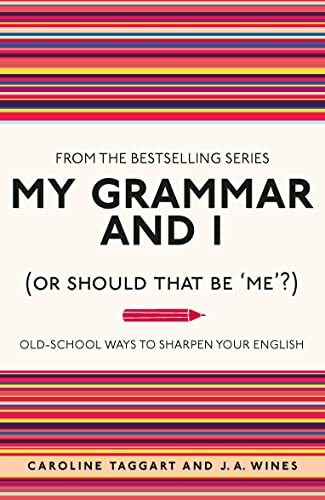 'Will do for grammar what Eats Shoots and Leaves did for punctuation' - The Times A runaway hit and Sunday Times bestseller in 2008, My Grammar and I has continued to grow in popularity, becoming the go-to guide for grammar. Repackaged with a fresh jacket design, this much-loved gift title is now available in paperback, for new readers and fans of the series alike. My Grammar and I offers amusing examples of awful grammar, while steering you in the direction of grammatical greatness. Taking you on a tour of the English language through the minefield of rules and conditions that can catch you out, from dangling modifiers to split infinitives, it highlights the common pitfalls that every English language user faces on a day to day basis. Refreshing everything you should have learnt at school and more, My Grammar and I is informative yet entertaining - an ideal buy for any English language enthusiast.